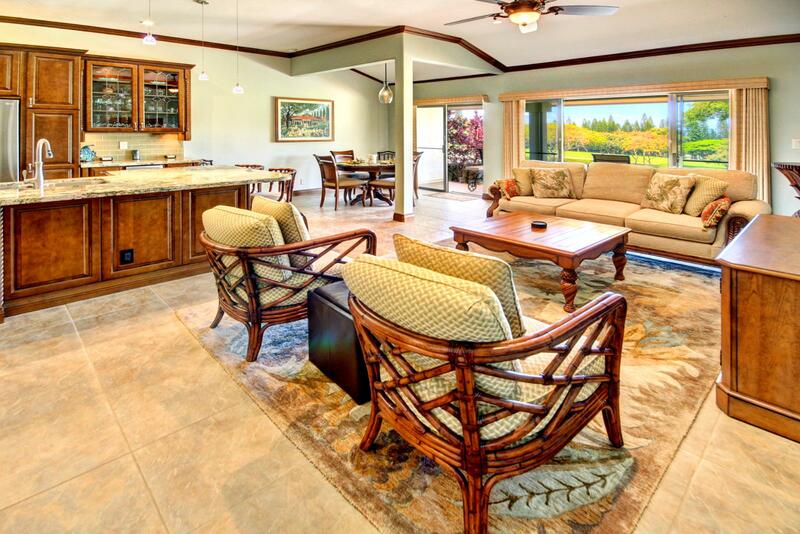 Relaxing 2bed/2bath golf villa with full amenitiy package, recent upgrades, fully stocked kitchen, and just a short walk to Kapalua Bay! Location : Condo, 16 bldg. Apr 23 2019 - Apr 29 2019 * 6 night special only $179/nt. May 09 2019 - May 11 2019 * 2 night special only $179/nt. May 21 2019 - May 27 2019 * 6 night special only $182/nt. Beautiful huge views of the Bay Course with through the trees ocean peaks. Huge open spaces makes you feel like you are away from it all. 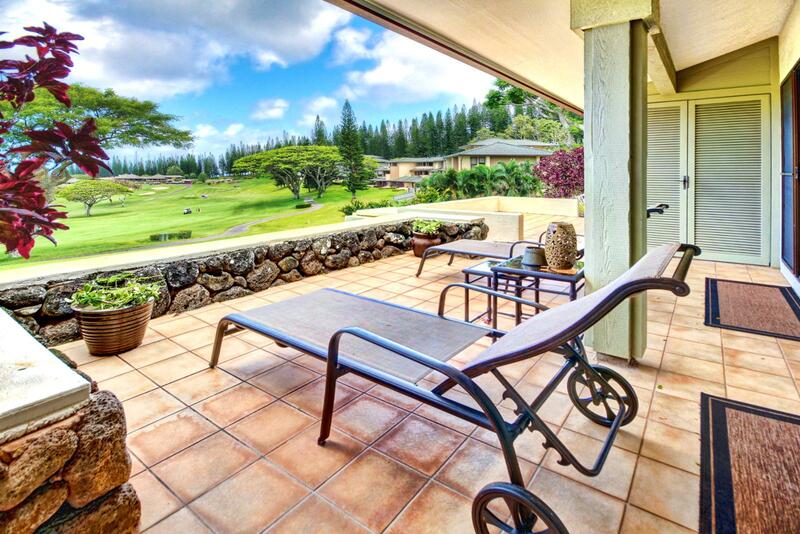 Looking out from the guest lanai. View from guest bedroom lanai. Large master bedroom with king size bed. Looking out from the master bedroom into the living room. Looking across the master bedroom notice the private entrance to the master bathroom. Large master bathroom with huge walk in shower. Beautiful master bathroom. Large guest bedroom with private lanai. King size bed with custom furniture. Looking across the guest bedroom. 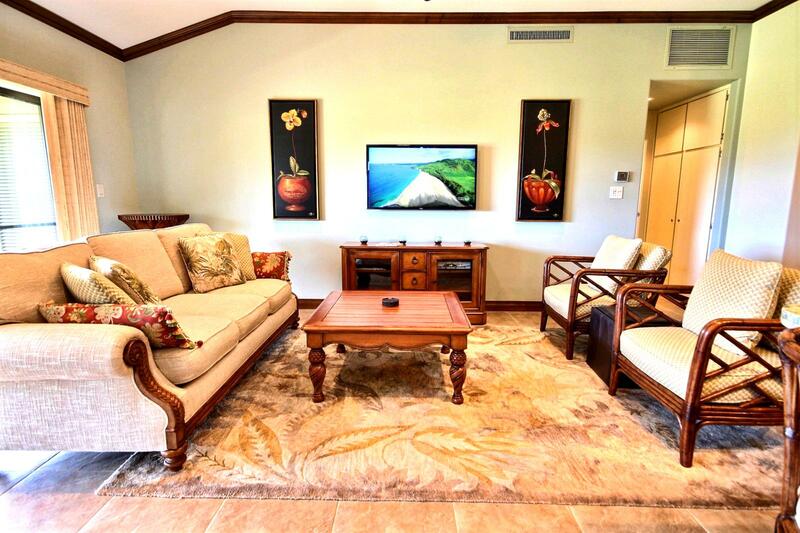 Large flat screen TV mounted on the wall for you to enjoy. Custom remodel done in September 2014. 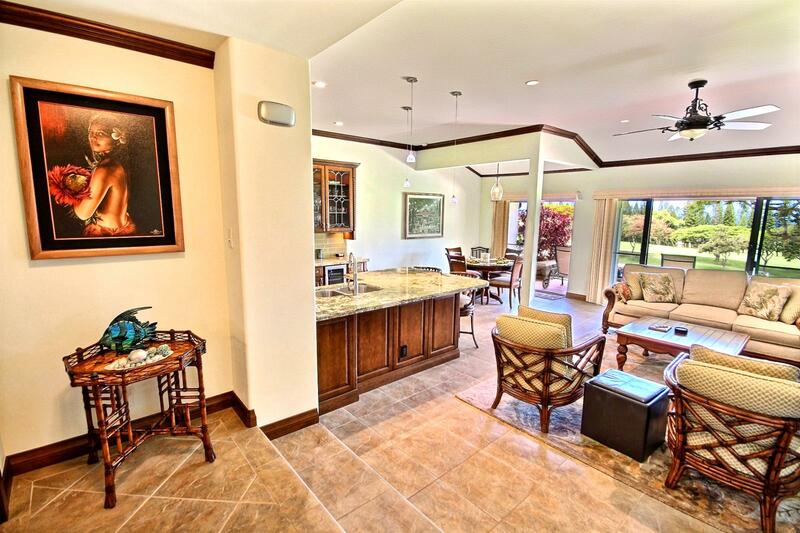 Large granite kitchen counters for that casual lunch or quick frozen libation. This amazing gourmet kitchen has everything you need to prepare any type of meal. Separate wine fridge as well. Looking into the kitchen from the living room. Small formal dining area for those home cooked meals. Looking across the living room to the lanais. 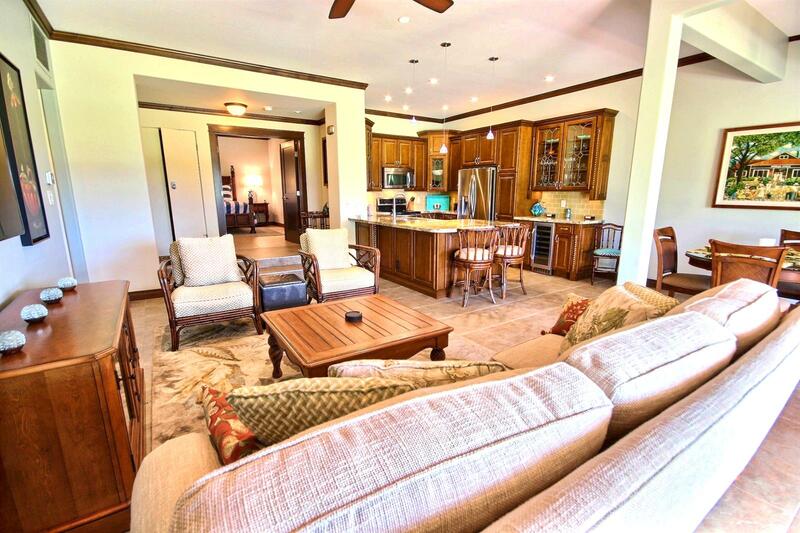 Large living space to relax and take in Kapalua for all it beauty. 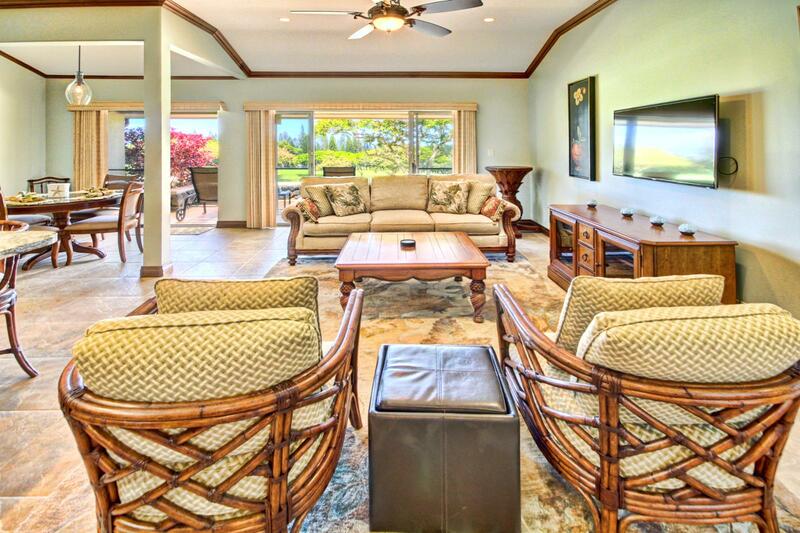 Looking in from the lanai into the living room.